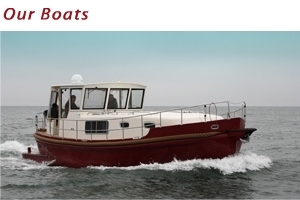 We manufacture our boats from glass-polyester laminate. We have an experience with epoxy-carbon laminate, vinylester resins and basalt reinforcements as well. In our work we put the effort on quality and productibility. We make the laminates with traditional hand lay-up method as well as with vacuum technology. Thanks to applying the materials from reputable suppliers we ensure high quality of manufacturing and strength of the structure. We use brand name outfittings which guarantee the worldwide service. 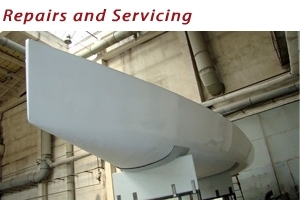 Besides manufacturing of new boats we deal with repairs and servicing of the second hand ones. We provide wide scope of services and our offer includes not only laminate repair but servicing of installations and outfittings, electrical repair as well as interiors restorations. Our team will provide the service at marina. In case of bigger repair we will transport Your boat to our facility. 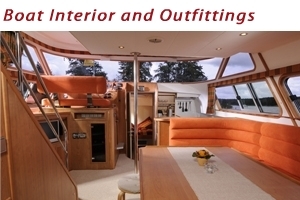 We deliver our boats ready made, completely outfitted and with full interior built-up. Both main equipment and small accessories are from reputable suppliers. This ensures reliability in operation and a worldwide warranty. For the interior design and furniture manufacturing we use materials resistant to moisture. We offer a wide range of veneers and upholstery materials and the comfort and ergonomics of use are priority for us.